Dark skin pigmentation of hyperpigmentation is the appearance of abnormally dark areas of the skin and nails which is caused by the increase in secretion and expression of melanin. 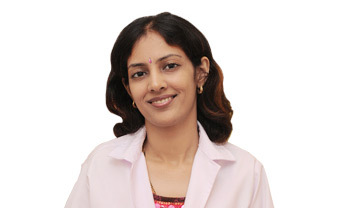 Dr. Rinky Kapoor is a cosmetologist as well as is associated with some of the best dermatology hospitals in India. 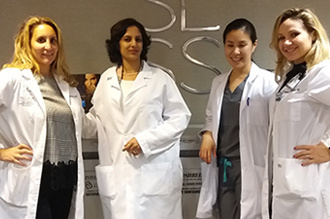 Cosmetology is a mix of the use of art and medicine together in a way that is aesthetically pleasing. She’s amongst the best dermatologist in Mumbai is the fact that she uses the world’s best and latest technological advances to give most natural looking results. "Dr. Debraj Shome awarded by the non-governmental organisation GOAL, with Indian Iconic Personality Award for Best Facial Plastic Surgeon in India." Dr. Debraj Shome Proudly Announces The Launch Of "The Esthetic Clinics" New Branch In Amritsar!" 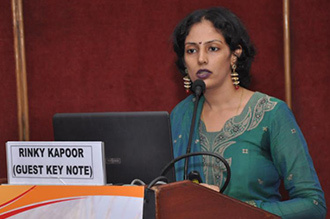 "Dr. Debraj Shome conducts India's First Nose Construction Surgery from Rib Cartilage , April 2017"
"Dr. Rinky Kapoor invited as Faculty, to speak on 'Latest Treatment for Acne Scars', at Annual conference of Cosmetic Dermatology Society of India." 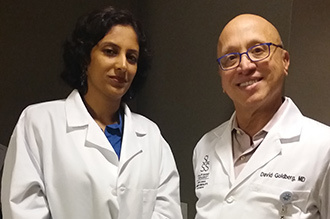 "Dr. Rinky Kapoor shares her expert advice on the use of Heliocare Oral Capsules in The Deccan Chronicle newspaper"
"Dr. Debraj Shome & Dr. Rinky Kapoor get US patent for The QR678 hair regrowth molecule, July2017"